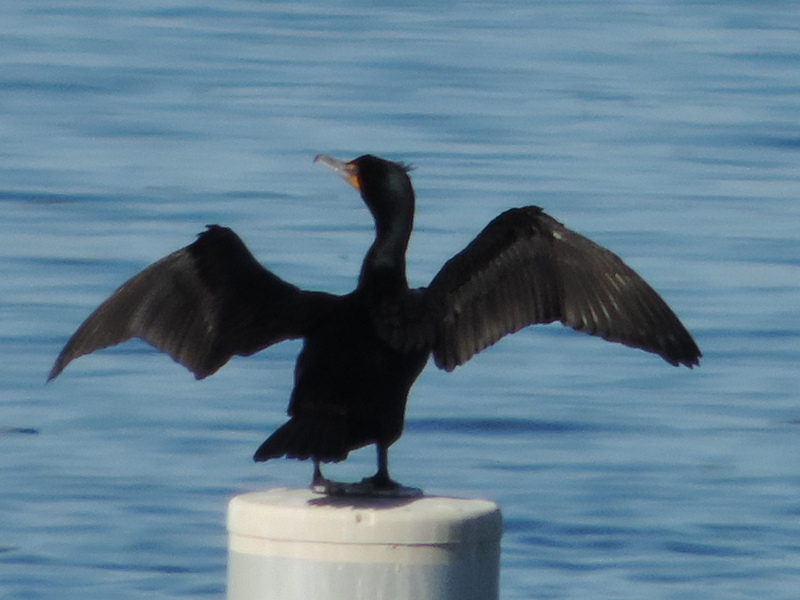 This Cormorant was seen on Lake Havasu, Lake Havasu City, Arizona on March 6, 2015. It was seen extending its wings to apparently dry them. This photograph was taken with a Nikon Coolpix P520 camera.